Light tobacco means this is an easy cigar to smoke and can be enjoyed by all. The lightest of the Cuban Robustos, the Choix Supreme impresses by its range of flavors and its creamy smoke. 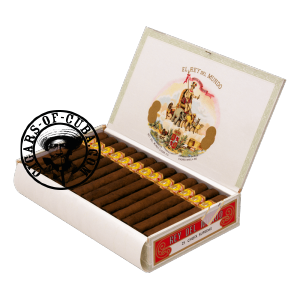 Honey, floral, fruit tang and loads of beany flavors give a feeling of freshness to this cigar. Pairs wonderfully with outdoor eating or aperitifs. As suitable in the morning as it is after lunch, it burns generously making it accessible to all. A reddish wrapper cigar which benefits from the very best quality control in Cuba. A very subtle smoke recommended as an afternoon cigar.